On May 10, 2010, Anastasio was arrested for burglary by the San Diego Police Department. He allegedly stole grocery items from a Food For Less store. He spent about two weeks in jail, with a judge sentencing him to time served for his offense. Instead of being released, however, Anastasio was turned over to immigration authorities for possible deportation. It’s a common practice in the United States for police authorities to hand over migrants whom they suspect of being undocumented to immigration officials. On May 24, the same day his jail sentence ended, Anastasio was removed to Mexico. Anastasio would remain in Mexico for only a few days. 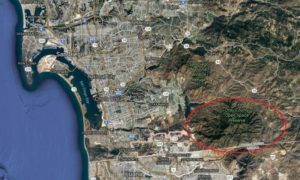 On May 28, he attempted to rejoin his family in San Diego by crossing without documents through the Otay Mountain area, a rugged terrain just east of San Ysidro, California. His youngest brother, Pedro Hernandez Rojas, who had been living on the Mexican side of the border in Tijuana, accompanied him on the crossing. According to Pedro, they had been walking for about 8 hours when they encountered Border Patrol agents. They attempted to flee, but the agents caught them. 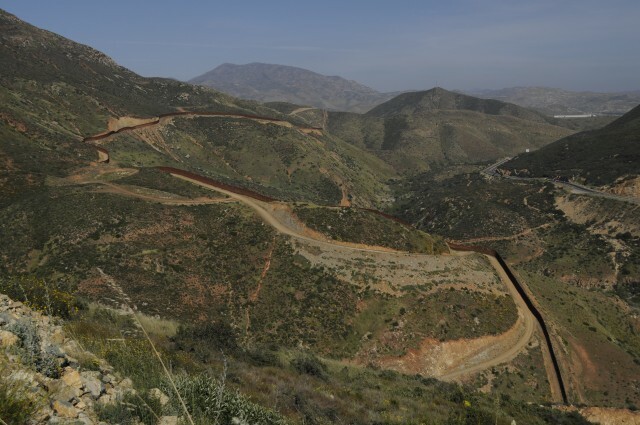 Anastasio and Pedro were subsequently transferred to the Chula Vista Border Patrol Station for processing. Map of the San Diego/Tijuana (Mexico) border. 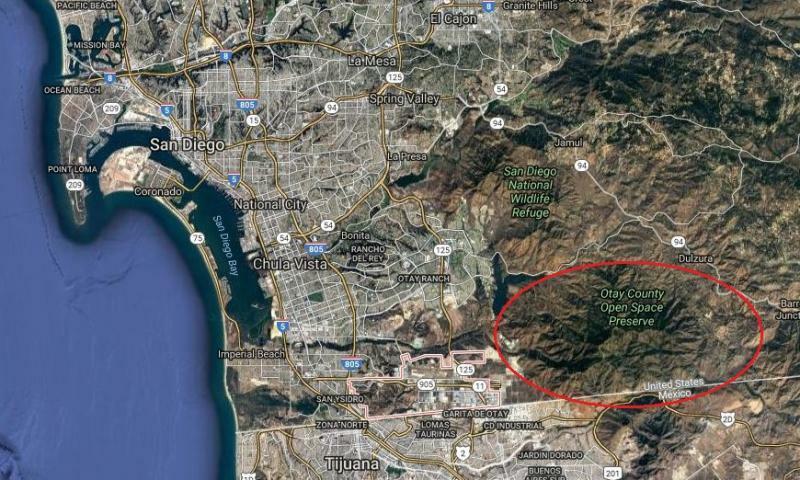 Anastasio and his brother crossed through the area circled in red. Close up of the rugged terrain in southeastern San Diego County through which the brothers crossed the border.